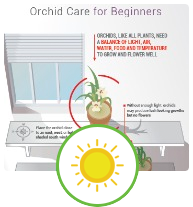 Frequently during autumn and spring, orchid plants exhibit symptoms resembling those of a virus. It most often occurs in late autumn and early spring, and symptoms are usually observed about six weeks after the damage has occurred. The injury is the result of mesophyll cells in the leaves collapsing from exposure to low temperatures. The most sensitive to mesophyll cell collapse are developing leaves, especially in phalaenopsis. These may show signs of damage after two hours at 45° F (8° C). At lower temperatures, the symptoms become more severe with shorter exposure. 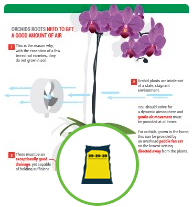 However, a phalaenopsis with all mature leaves may withstand up to eight hours at 35° F (2° C) without any problems. This Cattleya Alliance hybrid shows unsightly and permanent damage from mesophyll cell collapse. Mesophyll is the soft tissue inside a leaf, between the lower epidermis and the upper, chiefly concerned in photosynthesis. It is also called green parenchyma; this is a soft tissue made up of thin-walled, undifferentiated living cells with air spaces between them, the primary substance of plant leaves, roots, and the central portion of stems. 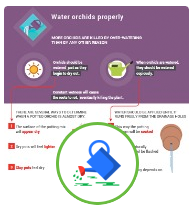 Mesophyll collapse can occur if orchids are exposed to very low air or water temperatures, which usually occurs on the coldest nights. Low water temperature (35° to 45° F; 2° to 8° C), or water that is more than 25° F (4° C) lower in temperature than the plant’s leaves, can cause the mesophyll cells to collapse. Watering, spraying or overhead misting of plants with cold water, or even cold condensation falling onto leaves can cause this problem. As most growers do not see the symptoms until weeks after they have occurred, it can be difficult to relate them to cold damage. In addition, extra protection from cold temperatures, for example heaters in the growing area and protection from cold winds (wind chill below 50° F [10° C]) can also help prevent this type of disfigurement. Is it Mesophyll Cell Collapse? If you suspect a plant is suffering from mesophyll cell collapse, a quick but careful inspection can help to confirm or rule out this diagnosis. Check not only the affected plant, but the entire collection, especially the surrounding plants. 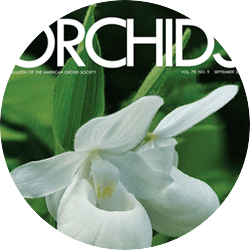 -- Thrips can cause damage to orchid plants that is similar in appearance to mesophyll cell collapse. Inspect affected plants carefully for thrips or their eggs, which are normally laid just under the upper epidermis of the leaf. -- Rule out the possibility of chemical damage by checking each chemical used for dosage and compatibility. 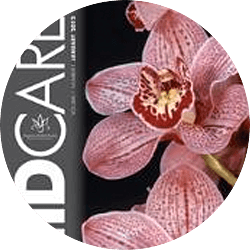 Make certain that the chemicals used are labeled as safe for orchids, and that the recommended dosage has not been exceeded. -- Although it may appear similar at first glance, mesophyll cell collapse can be distinguished from virus problems in that it occurs mainly on developing leaves and is usually evident on only one or two of the new leaves. The next leaf produced should appear normal. -- Eliminate sudden changes in the growing environment or cultural routine as a possible cause of disfigured leaves. -- Even after a diagnosis of mesophyll cell collapse has been reached, it is advisable to keep all damaged plants segregated and under close observation for four to six weeks. Curry, Robert Doyle. 1975. Mesophyll Collapse in Phalaenopsis. AOS Bulletin 44(6):497. Neufeldt, Victoria, and David B. Guralnik, Editors. 1994. Webster’s New World Dictionary. Prentice Hall, New York. Poot, Inge. 2003. 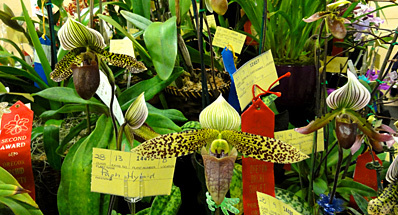 “Inge’s January 2003 Programme Notes.” Southern Ontario Orchid Society. Sheehan, Thomas J.1995. 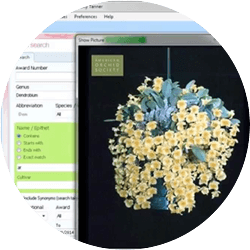 “Physiological Diseases of Orchids.” In Orchid Pests and Diseases. 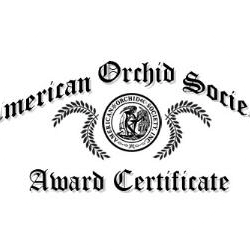 American Orchid Society, Delray Beach. —. 1987. Question Box. AOS Bulletin 56(7):733.